My WordPress site is hosted on Windows Azure and uses a MySQL database that was set up automatically on ClearDB. For the past couple of days I have been getting warning emails from ClearDB, the provider of MySQL databases for Windows Azure customers that my database quota is almost full. Please note that the use of temporary tables as well as index sizes are included in our storage size calculations. We suggest that you consider upgrading your database to the next service plan to ensure that it does not exceed our storage quota policy. Databases that exceed our service plan storage quotas are automatically locked to ensure the highest quality of service for all of our valued customers, and we don’t want you to experience an interruption of service. If you’re getting these messages and you’re using the database to run a WordPress site, make sure you compact your database before going to pay for the next higher tier/plan on ClearDB. Chances are that you might not have to upgrade after all! I simply used an Optimize Database wordpress plugin and it reduced the database size by 50% by removing revisions, trashed items, spammed items etc. Now I can continue using the free ClearDB database without incurring any additional costs. This is because Forefront Unified Access Gateway is already installed on the machine, and TMG (Threat Management Gateway) is blocking DCOM/RPC traffic that is required to request a certificate using the MMC snap-in. To avoid this issue, Tom Shinder’s documentation suggests that you request the IP-HTTPS certificate before you install UAG. 1. Open Notepad, and paste the following code to make the INF file for the request. The only text that may need to be changed are in red. Replace WebServer2008 with the name of your IP-HTTPS certificate template. 6. Choose the CA in the popup window. 7. Save the file as IP-HTTPS.CER when prompted. 10. Copy the IP-HTTPS.CER file back to the UAG machine. This will add the certificate to the local store. 13. (optional) Open the Certificates MMC for Local Computer. Open Properties for the uag1.contoso.com certificate. Give a Friendly Name “IP-HTTPS Certificate” and click OK. If you’re looking to test DirectAccess scenarios, I highly recommend that you check out Dr. Tom Shinder’s test lab guides published on the Microsoft website. 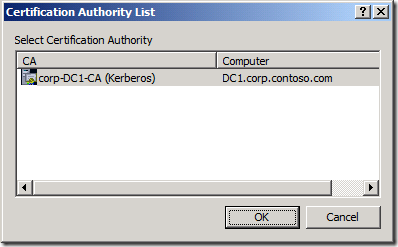 If you are publishing RemoteApp or Remote Desktop Services on Forefront Unified Access Gateway 2010, and have enabled Single Sign On (SSO) on the RDS application in UAG, you might find that UAG tries to perform user logon on the published server using computernameusername instead of domainusername. I’ve researched this issue and found that there’s nothing I can do about it, at least at the time of writing this, as it is listed as a known issue in UAG. A workaround would be to ask users to log in using “domainnameusername” while logging on to the UAG portal instead of just “username”. Just a thought – you might be able to automate the appending of “domainname” to the username string by customizing the UAG login page code, although I haven’t attempted it. If you’re trying to enable File Access in Microsoft Forefront Unified Access Gateway 2010, you might encounter the following error when you try to configure “File Access” from “Admin” menu. Before we troubleshoot this problem, it’s important to understand how the File Access feature in UAG works. The File Access feature is dependent on the Computer Browser service. The Computer Browser service, as we all know, is used when we try to browse the network using “Network Neighborhood”, “My Network Places” or “Network”. If the file servers are members of a domain, UAG computer has to be a member on that domain, or on a domain that has trust relationship with that domain. Make sure that Network Discovery is enabled on the Internal network connection. Open Start > Admin Tools > Services. Make sure the Computer Browser service is not disabled. Make sure the Computer Browser service is set to Automatic and started. Open “Network” on the UAG computer, and see if you can browse other computers on the internal network. If not, troubleshoot accordingly. Once you are able to browse the other computers, then UAG File Access will also work. take a look at the steps needed in mixed-mode domain environments. I was trying to configure DirectAccess on UAG in a test environment, and kept getting the above error whenever I tried to activate my configuration. The solution is simple. UAG needs two consecutive public IP addresses assigned on the external network interface. In a test environment, you would sometimes use a private IP range like 10.0.0.0 or 192.168.0.0 for the external interface, which is not supported. Also note, the UAG DirectAccess server cannot be behind a NAT. The solution would be to install Rollup Update 5 on Exchange Server 2007 SP1. CAS running an ‘older version’ of Exchange? Outlook Web Access is not currently available for the user mailbox that you are trying to access. If the problem continues, contact technical support for your organization and tell them the following: The Microsoft Exchange Client Access server that is proxying the Outlook Web Access requests is running an older version of Microsoft Exchange than the Client Access server in the mailbox Active Directory site. If you have set up Exchange Server 2007 Client Access Servers in a CAS-CAS Proxy scenario, where the CAS server in the main site is exposed to the internet and the CAS servers in other remote locations depend on the internet-exposed CAS to proxy requests to them, users in the remote site may get the above error when they try to access their mailboxes via Outlook Web Access. The cause is very simple. The Client Access Server in the remote site may have the latest Update Rollup for Exchange 2007 installed on it, while Client Access Server in the main site is still having an older Update Rollup. I noticed this problem when the Client Access Server in the main site is running with Update Rollup 3, while the remote site has already got Update Rollup 4 installed. A quick install of the latest Update Rollup on all servers solved the problem. Error 0xC004F038 The computer could not be activated. The returned count from your Key Management Service is insufficient. The KB Article 942961, which describes this error message, did not apply to us, because our KMS count is more than 25 and the article suggests that this problem only happens when the count is lesser than 25. The -rearm switch "re-arms" or "resets" the Windows Activation on the client machine. This can be done a maximum of three times per Windows Vista installation. The re-arming also extends the grace period, so it is particularly useful if you are looking for a temporary fix to buy some time while you sort out KMS issues. 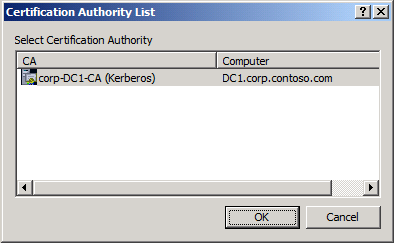 Exception message: There was a problem accessing Active Directory. Right click on the user choose Properties. Make sure that this object inherits permissions from parent object is checked. Make sure SELF has permissions on the user account and the user mailbox. Make sure that there are no connectivity problems between Exchange Server and Active Directory. Also make sure that a GC is available. I was trying to create a protection group in System Center Data Protection Manager 2007 to protect SharePoint Server 2007. Installed KB940349 on the SharePoint front end server. Installed KB941422 – Update for WSUS 3.0. After installing this KB, I had to run the SharePoint Configuration Wizard. Start the VSS Writer service on the WSS server as per this article. Make sure the back end SQL Servers are running SQL Server 2005 with Service Pack 2. This item cannot be protected because some prerequisite software is missing. Ensure that all prerequisite software is installed and then protect this item (ID: 31008). Click Help to view the list of prerequisite software for the selected item. The problem was solved when KB940349 was installed on the backend SQL Server as well. All servers were restarted after installing this update. Then I went to the Management tab on the DPM 2007 console and selected Refresh Information from the Actions pane. On returning to the Create Protection Group wizard, the error was gone.